Meet Penny! She is one of RASKC’s most dedicated and skilled volunteers. Penny serves as Co-Lead of the Shelter Helper team. She works with the staff and other volunteers to troubleshoot a variety of issues, especially those related to the washing machines. Penny promotes quality assurance in many ways, by sending out Tips of the Week, training dozens of new volunteers, and helping to edit the RASKC eNews. She works at a weekly two-hour Shelter Helper shift, in addition to filling in. And Penny walks RASKC dogs too. Penny has volunteered regularly on Early Morning Cat Crew and now fills in. Penny also helps out with RASKC’s annual Angel Fund fundraiser by wrapping gifts at Barnes and Noble during the winter holidays. She is also a terrific photographer. Penny has donated about 350 hours since last January 2017, with hopefully many more to come. Thank you, Penny! An interview with Penny can be found on our website and blog. Immediately after attending new volunteer orientation last month, Halli McGraw jumped into training. She started weekly shifts this month on three teams: Early Morning Cat Crew, Shelter Helper, and Cat Meet and Greet. In September, Halli will be returning to Eastern Washington University as a Biology major. In the meantime she is signing up for many summer shifts and plans to help out during breaks. Halli will be applying to veterinary school next year. Vote online for Teresa Rosenberg as RASKC’s nominee for the 2018 Mud Bay Volunteer of Excellence. One vote is allowed per computer and per person. Voting closes at midnight on July 29. Before you cast your ballot, you can read the nominations submitted by 20 local animal-welfare organizations. The three nominees who receive the most votes will receive $1,000. Mud Bay will also contribute an additional $1,000 to the organizations that the winners are affiliated with. Along with team leaders Lucy Camelia and Jennifer Hunt, Teresa manages RASKC’s Kirkland Team of 135 volunteers. She addresses the day-to-day challenges with incredible grace, humor, and aplomb. Teresa’s leadership skills are highlighted by quick and skillful responses to a wide range of volunteer questions, suggestions, and concerns. She was the key point person for onboarding 65 new volunteers on the team from May 2017- May 2018. Read more about Teresa’s fabulous work when you click on her “bio” at Mud Bay’s FUTY webpage. RASKC’s third annual Volunteer Appreciation Event at Seattle Meowtropolitan Café will be taking place on Monday, August 6. The cat lounge is closed to the public on Mondays, so it will just be RASKC volunteers and guests on this special day. 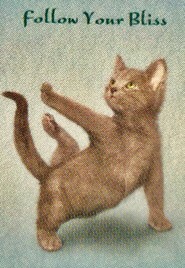 During the 2pm hour Meowtropolitan is providing an instructor to lead a slower-paced yoga class amongst the cats. Because space is limited (14 people per timeslot), it’s very important that everyone attending registers ahead of time. Volunteers and their guests may sign up for one timeslot. RASKC provides all of the cats who reside and who are adopted from Meowtropolitan. Stay Tuned! Plans are in the works for a RASKC Volunteer Appreciation Event in the fall at Café NEKO in Seattle. RASKC volunteers set a record at Seattle Int’l Beer Fest! 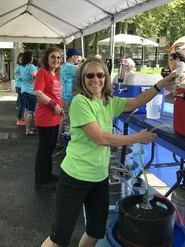 Thanks especially to the tremendous leadership of volunteers Melissa Blake, Dawn Gerken, and Chelsea Griffin, RASKC set a record for the number of volunteers and supporters contributing labor at the Seattle International Beerfest (SIB) earlier this month. For each of the 68 adults who poured beer at the event in support of RASKC’s Angel Fund, SIB donated $50. This is the largest turnout ever for an organization’s fundraiser at the SIB! As a result, RASKC received $3,400 from the festival. Kudos to the volunteers and supporters who helped out. Special appreciation to the large group of Zillow employees who donated their efforts in support of RASKC. The SIB usually takes place the weekend following the 4th of July. If you will be 21 years old or older and might be interested in helping out next year, contact foster volunteer Melissa Blake. Congratulations! Two RASKC leaders are promoted! Congratulations to Dr. Gene Mueller and Lead Sergeant Tim Anderson, who were promoted this month into a one year special-duty assignments. Gene is now serving as the Acting Deputy Division Director for the Records and Licensing section (RALS). His responsibilities span over 130 employees in RASKC, vehicle licensing, the Recorder’s Office, and Archives and Records Management. Gene is now the lead on Human Resources and RALS finances. He is co-leading RALS’ biennial budget submittal through the Executive Office’s and County Council review and approval. He will be actively involved in many of the key initiatives. Tim is now serving in Gene’s former position as the RASKC Manager, representing King County and RASKC with our 24 partner cities and many other animal-services partners, including overseeing operations. 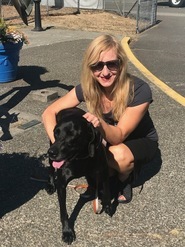 A terrific new program that Animal Services Coordinator Nickie Ford recently launched allows RASKC Dog Walkers to take certain dogs out for a hike, visit to a beach, or go on other fun adventures. This program is called WAGS- Walks, Adventures, and Getting Socialized. Dogs who qualify are those of the Dog Walker’s color designation and who have been available for adoption at least seven days. The volunteers go through a check-out process with staff before embarking on each special trip. RASKC will provide an “Adopt Me” vest and bandanas to place on the fun-loving dogs. While friends and family can join in on the fun, please note that only the volunteer can handle the dogs. If you are an adult who would like to apply to be a Dog Walker, go here. RASKC seeks people who are skilled in calmly handling large energetic dogs, especially Pit Bull Terriers. The next introductory class will be taking place on August 25. If you have not already done so, please also complete RASKC’s general volunteer application. RASKC now offers free pet food and supplies to adopters and the general public who may need extra help caring for their pets. Actually, thanks to the generous donations from Trupanion, anyone is welcome to take these items home. These items can be accessed from the “pet treasure chest” which is located at RASKC/ Kent. As you exit the dog building toward the dog yards, turn left. 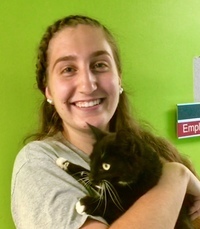 Please help welcome new Animal Care Technician Genni Brookshire. 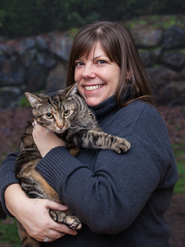 Originally from Georgia, Genni has worked as a vet tech in several states. She has actually worked with dolphins in Hawai’i. Genni also brings experience from working in a city animal-shelter. RASKC usually hires seasonal staff to help us through the busy season. We’re glad that Genni made her way here! This is my twentieth year at RASKC. I was an Animal Care Officer for 18 years, working both in the shelter and in the field. I was previously a licensed veterinary technician for eight years before deciding to work in animal welfare and use my vet tech talents to help better the lives of the animals in the shelter. I work now as a Customer Service Specialist Supervisor, overseeing the animal services call-center and finding ways to provide excellent customer service to the public. I do the public records requests for RASKC as well as help with the Hearing Examiner process. I am usually the go-to person if there are any special needs for the shelter or field services and do many other miscellaneous duties. The best part about my job is making improvements for RASKC and customers. When I am not at work I am usually hiking, biking, or trail running. I love participating in triathlons during the summer and spending time with my son Kels, my significant other Kerry, and, of course, our very lovely and sweet dog Ellie, and two Siamese cats, Sunshine and Skippy-John. I think the volunteers are wonderful. They play a big role in getting our animals adopted and are such an asset for RASKC. I love Vyrna Layton’s cat blankets, they are adorable and she works so hard on them! I’ll give a shout out to Pat Davis and Lori Middleton for their work with the kitties, they are our volunteer cat experts and they work tirelessly to make the cats very comfortable. Also I would like to acknowledge Derek Yoshinaka for his great work with the dogs, he is the best! We have so many volunteers who are very dedicated to the animals and helping employees. I will forever be grateful for them and consider them to be part of the family at RASKC. Eggsy is a 12 year-old male cat, domestic short hair (ID #A557387). This affectionate lovebug would be thrilled to cuddle up in your calm and quiet home. Eggsy's personality color is BLUE. 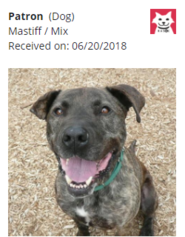 He was brought to the shelter by a Good Samaritan in early May 2018. Eggsy longs for a slow-paced home environment, where he can enjoy gradually get to know you and enjoy petting. When he feels truly settled, it's likely that Eggsy might knead or "make muffins" for you. This sweetie would do best in a home without other cats, since Eggsy has a lingering symptoms from a recent cold. Because of dental extractions last spring, this older gentleman may need special diet or prescription foods. Eggsy is neutered, current on vaccinations, and microchipped. His $30 adoption fee includes a free visit to the veterinarian of your choice, and 30 days of opt-in pet insurance through Trupanion. You can find out more about Eggsy on RASKC's website at www.kingcounty.gov/adoptapet. Click on "cat" and type in his name. You may meet Eggsy and other animals available for adoption, seven days a week at RASKC's King County Pet Adoption Center in Kent, 21615 64th Ave S; Monday - Friday: 12 p.m. - 6 p.m., Saturday - Sunday: 12 p.m. - 5 p.m. Phone 206-296-PETS, email adoptapet@kingcounty.gov. 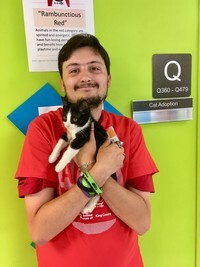 Hurray for those who won & helped at the Special Olympics USA Games in Seattle earlier this month: Congratulations to new Cat Meet and Greet volunteer Brandon Groscost, who won a gold medal as part of the Washington Thunder soccer team. Kudos to RASKC volunteers who were among the 10,000 people who helped out at the event, including Derek Yoshinaka, Natalie Salazar, and Saraswati Kaja. Sally Halela honored by a national organization. South County Cats Leader Sally Halela was recently honored by the National Points of Light upon RASKC’s nomination of her. 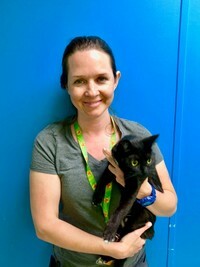 Sally also volunteers on our Covington Cat-Care Team. Earlier this year the Washington State Governor’s Service Award and also the Auburn Valley Humane Society Animal Champion Award were bestowed upon Sally for her outstanding work. and you for me - my best fren too! adopt me and I'll be your friend! Extra Precautions with Kittens in Adoptions: Because of recent health challenges, it is important to change your gown before cleaning a condo or colony room with kittens. No kitten cuddling unless a staff member asks you to. Please be clear with the public about not interacting with kittens after the customers have met adult cats at the shelter. Please post pet photos to Instagram. And post your hours! We love it when you post photographs of RASKC animals to Instagram, especially when you tag @kingcounty.pets and add hashtags like #RASKC, #kingcountypets, and a hashtag unique to the animal, like #EggsyKingcountypetsA557387 (Name of pet + Kingcountypets + Animal ID). Whenever you do photography work at home to help RASKC cats, dogs, and rabbits, remember to post your hours under “Pet Publicist” (formerly known as Social Media Volunteer). Thanks! RASKC wants to accurately capture as many volunteer hours as possible in the database. Register for Mud Bay’s FUTY Festival Aug 19. This free party, featuring lots of free pet-supply samples, delicious food and beverages will be taking place from 4pm- 7pm at Magnuson Park in Seattle. The top three winners of the Volunteers of Excellence Award will also be announced. While there is no cost, all attendees must preregister here, using promotional code FUTY18S. RASKC maintains more than 325 scheduled shifts; 85% are weekly. If you do not see an opening that matches your availability, please be patient. Additional openings occur almost every week. 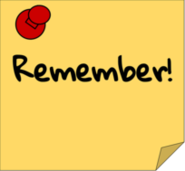 Note: If you have not yet attended new volunteer orientation, please do not contact any of the Team Leads. The positions listed below are to be filled by people who have already attended the session and who have already submitted the required paperwork. Thanks. Early Morning Cat Crew @ RASKC/ Kent. Contact Sarah L.
Vet Clinic Volunteer @ RASKC/ Kent. (adults only): Complete the Vet Clinic Volunteer application. Volunteers to assist professional photographers @ RASKC/ Kent. Preference given to current cat volunteers for the cat shifts. Only "red" Dog Walkers for the dog shifts. Contact Sarah L.
Sunday, August 12- Dogs (two shifts 8am- 10:15am or 10:15am- 11:30am). Red dog-walkers only. Sunday, October 14- Dogs (two shifts 8am- 10:15am or 10:15am- 11:30am). Red dog-walkers only. Volunteers to assist 106.9fm DJ Heather for live streaming on Facebook @ RASKC/ Kent. Dog Walkers of any color are eligible. Contact Sarah L.
Thanks for all that you do to help the animals and everyone else at RASKC and at partner locations. For questions, comments, or suggested topics for future eNews editions, please contact Volunteer Program Manager Sarah Luthens.